Reconditioned 15 lb aluminum CO2 cylinder with handle and high-quality CGA320 carbon dioxide valve preinstalled. 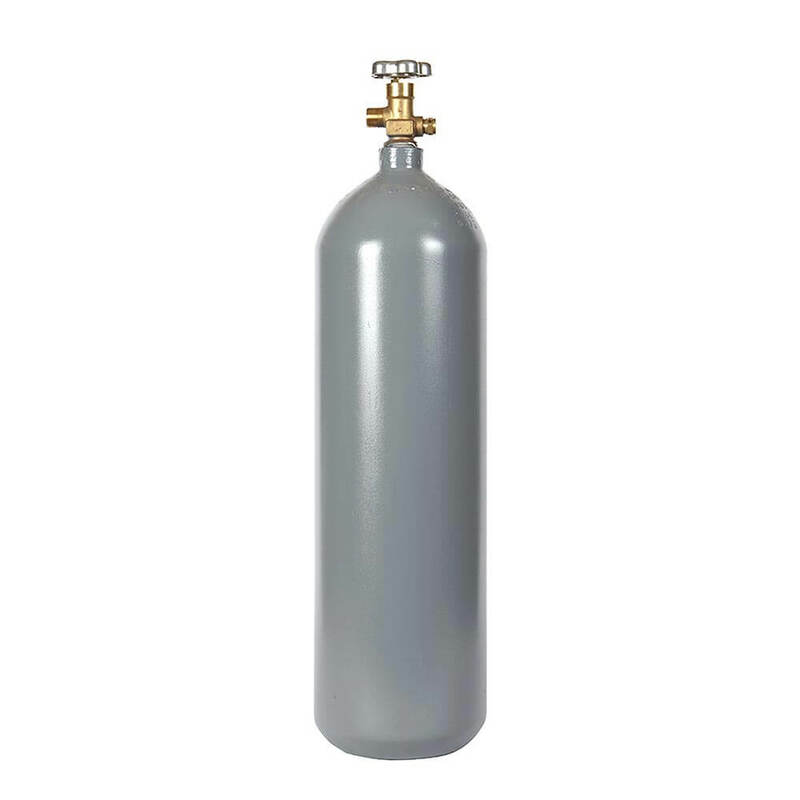 Great capacity in a lightweight mid-sized carbon dioxide cylinder plus exceptional value. Perfect for service and moderate industrial uses, including beverage delivery, soda, and aquariums. All Safe’s reconditioned 15 lb CO2 cylinders are tested and refinished to the highest standards of quality, including hydro testing and exterior refinishing, for the performance of a new cylinder at a fraction of the price. Plus, with an aluminum body, corrosion resistance and light weight come standard. We source our reconditioned cylinders from a variety of original manufacturers, so cylinder size and appearance may differ. Measurements given here are representative of the cylinder, but may vary in height and diameter.